With the advent of the internet, conspiracy has “gone from being super-latent, super-underground, super-subcultural—just the interest of people on the margins—[to being] mainstream, in a way,” Eklund says. While the show might seem timely in the era of “fake news”, it has been in the works since 2010, when Eklund first brainstormed the idea with the artist Mike Kelley, who died in 2012. 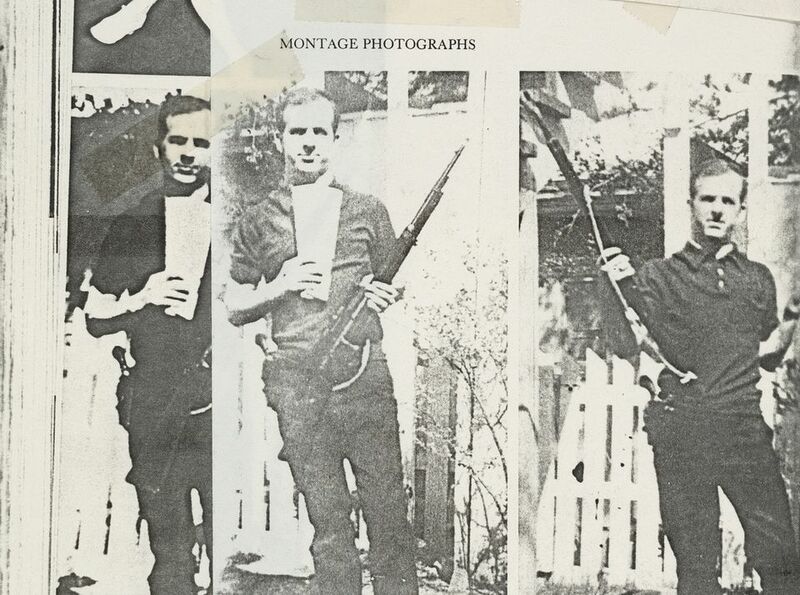 According to Eklund, approaches to conspiracy tend to fall into two categories: the “forensic, fact-based work” of artists such as Hans Haacke, Jenny Holzer and Mark Lombardi, and “artists who are trying to capture the rabbit-hole aspect of the psychological experience of conspiracy”, including names from the California Institute of Art, such as Kelley and Sue Williams. The exhibition is supported by Andrea Krantz and Harvey Sawikin, and James and Vivian Zelter. “The thing that amazes me is, when I started working on the show [in 2010], the MKUltra project was the ultimate tinfoil hat topic—only real conspiracy nerds would even believe this,” says the curator Doug Eklund. In the 1950s, the Canadian artist Sarah Anne Johnson’s grandmother, Velma Orlikow, was given years of “treatments” including LSD and induced sleep, permanently traumatising her. They took place at the Allan Memorial Institute in Montreal, and were later discovered to have been part of a CIA-funded brainwashing experiment. 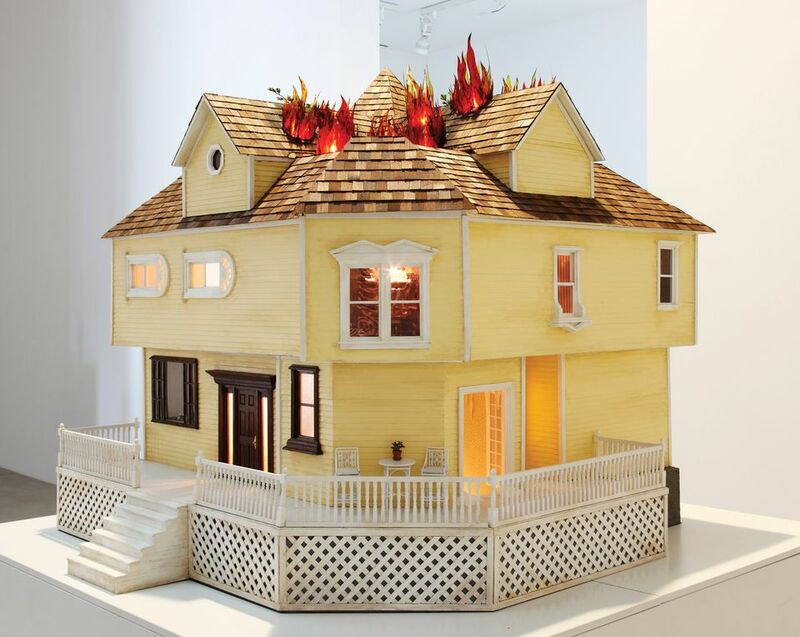 Johnson’s mixed-media work takes a cheery yellow doll’s house and turns it into a hellish scene, based on her grandmother’s hallucinations. 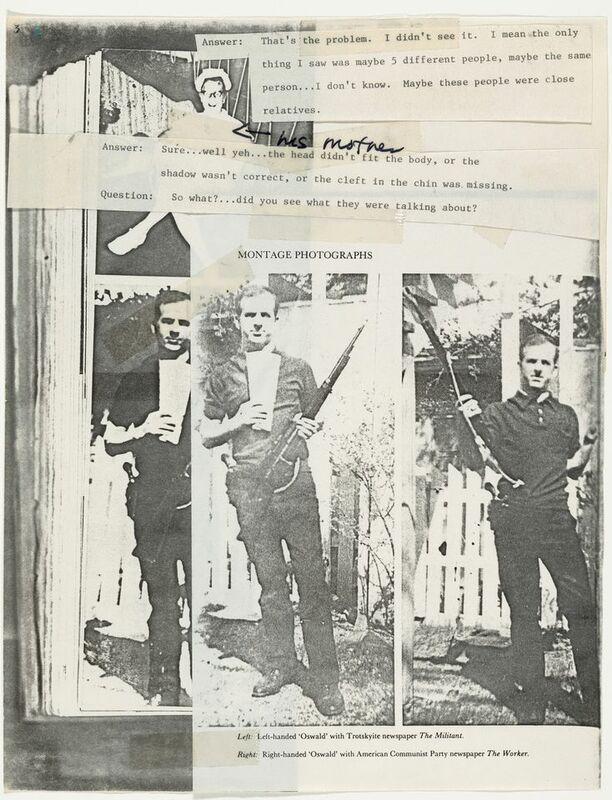 Mimicking the “ragged cut-and-paste aesthetic” of subcultures, this “self-interview”, 18-part collage of photocopied documents and images of Lee Harvey Oswald “looks like conspiracy theory the way we recognise it”, Eklund says. Unlike the CIA’s MKUltra, conspiracies about the 1963 assassination of President Kennedy “will never be verified in the ways that a covert [government] programme [was] eventually made known”, he adds. 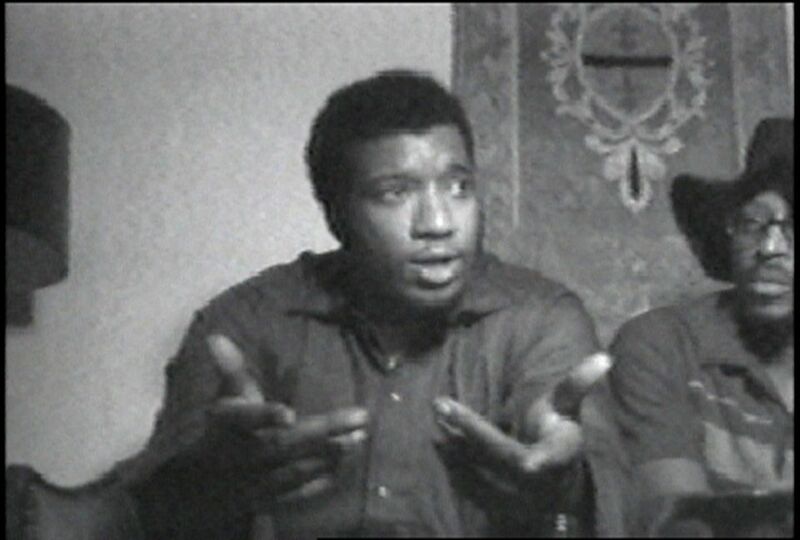 This interview with Fred Hampton, aged 21, the chairman of the Illinois chapter of the Black Panther Party, is “harrowing—because it’s a month before he was shot”, Eklund says. “He says in the video, ‘I’ll be dead in a couple of months’.” Hampton was killed by the Chicago police in an FBI-orchestrated arms raid, after being drugged by his bodyguard, a counterintelligence operative. At the time, the Black Panthers had renounced violence in favour of community programmes like free breakfasts for children. “That was much more dangerous to the status quo,” Eklund says.